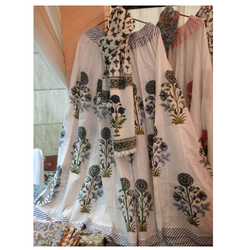 Pioneers in the industry, we offer ladies hand block printed skirt and stole, block printed 40 kali skirts, designer long skrits, ladies long skirts, women long skirts and block printed long skirts from India. 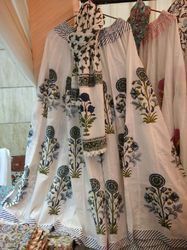 Hand Block Printed Cotton Long Skrits. 40 Kali a designer Skrits. Fully Cotton Half lining. By order Duppatta and Stole possible.we offer our clints for these skrits. 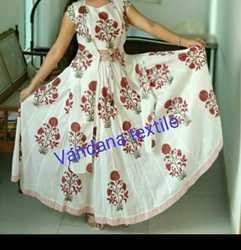 Ladies Block Printed long skirts. we makes in this by block printed cotton fabric.our moto clints satishfucations. we mfg. 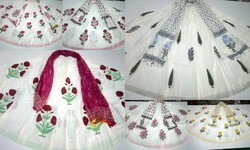 in these products also home furnishing and garments. Looking for Block Print Skrit ?